1. 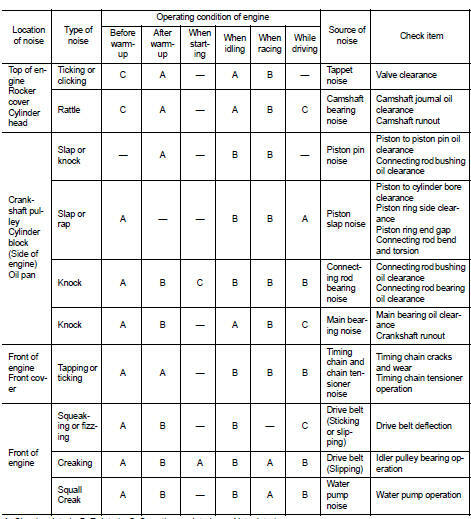 Locate the area where noise occurs. 2. Confirm the type of noise. 3. 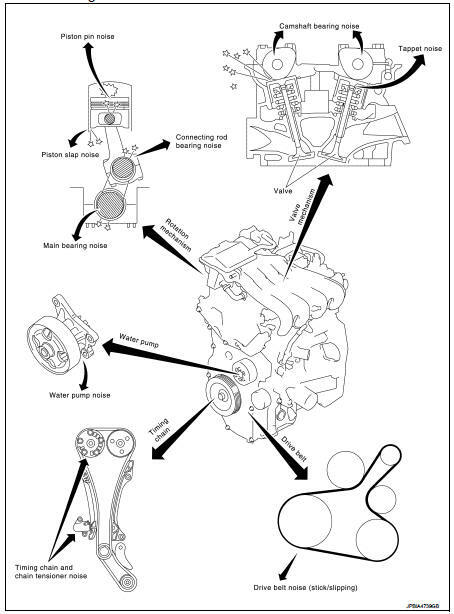 Specify the operating condition of engine. 4. Check specified noise source.